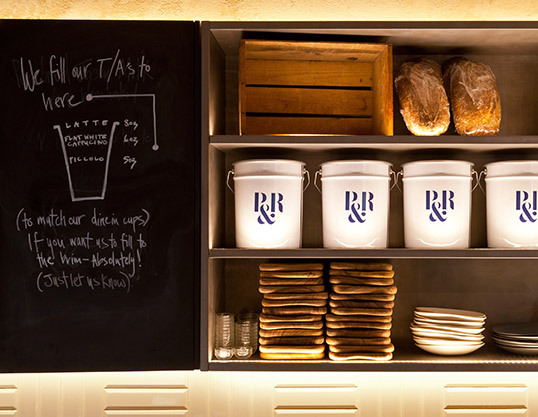 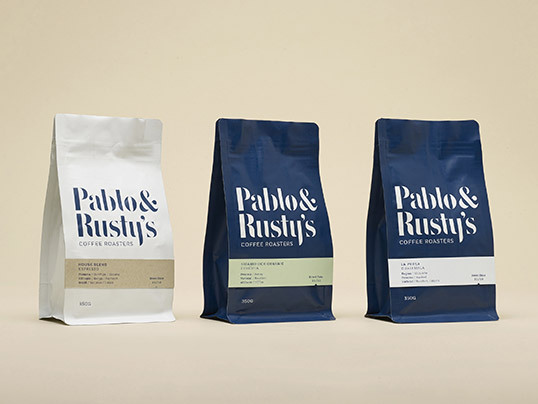 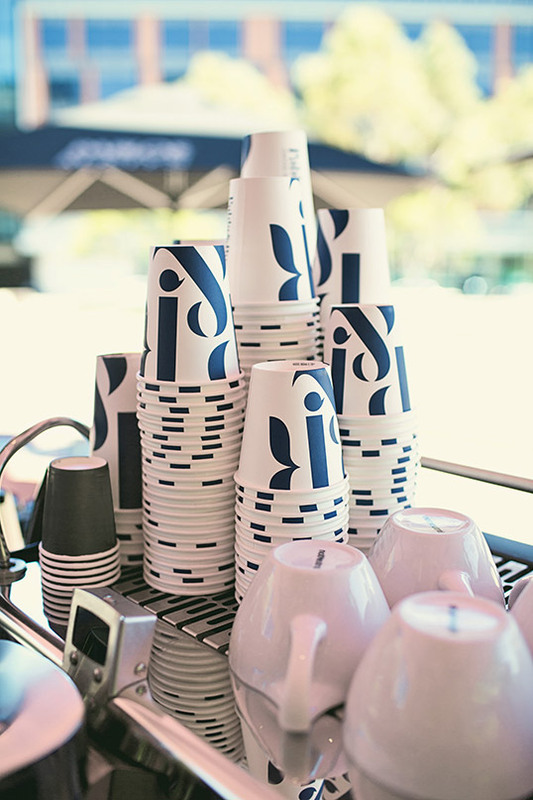 “Pablo & Rusty’s is an award-winning small-batch coffee roaster based in Sydney, Australia. 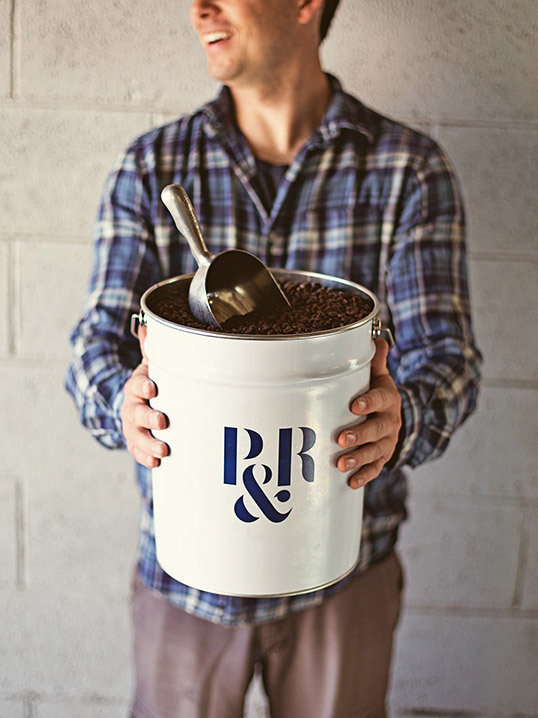 They strive to find amazing coffee; determine the best way to roast it; take it to one of their four stores and deliver an exceptional experience to their customers. 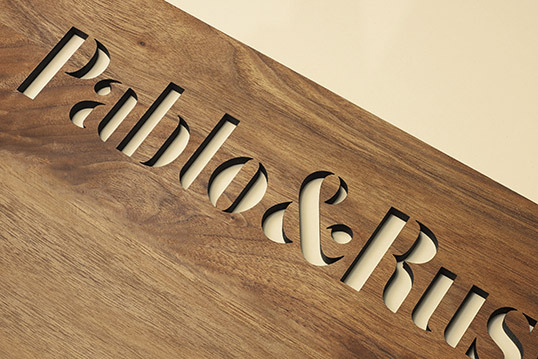 Pablo & Rusty’s have a strong company culture, are passionate about sustainability, and are in constant pursuit of perfection. 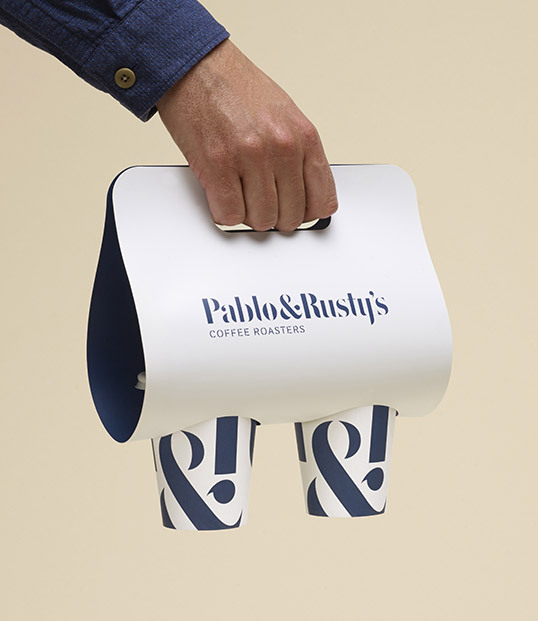 “Manual then created a complete brand identity, and applied it to key retail and packaging elements. 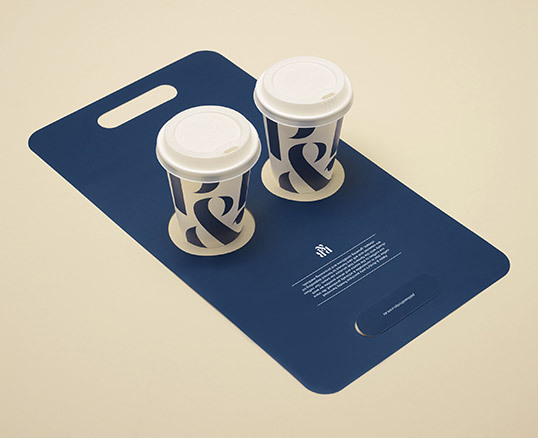 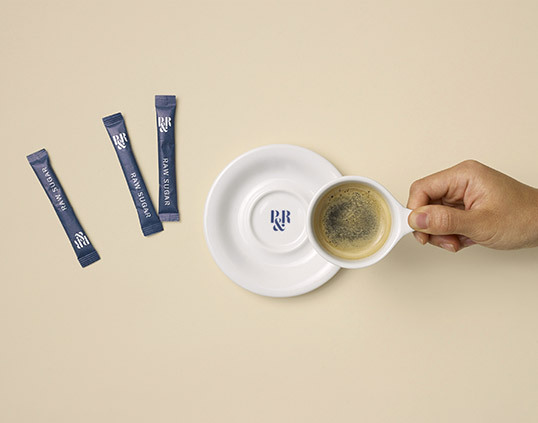 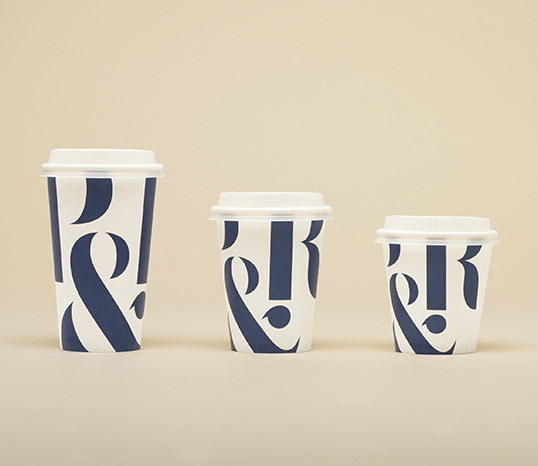 We began by taking inspiration from the core of their business—the humble coffee sacks and stencil typography often found printed on them—and reinterpreted this as modern, sophisticated custom-drawn logotype. 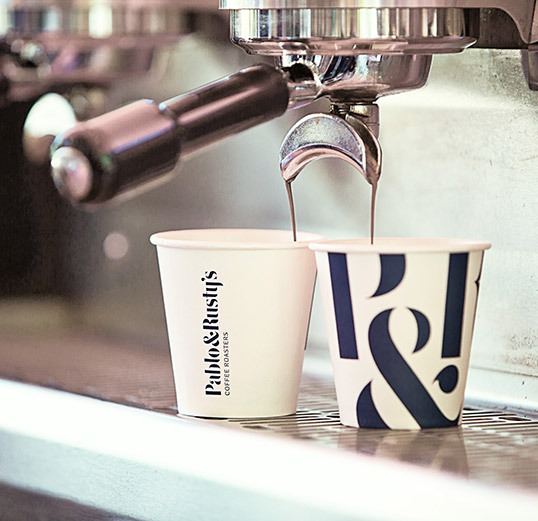 In our research we discovered that many of their customers and staff referred to them as ‘P&R’ for short, so we recommended building on that brand recognition and created a monogram that would work at small sizes. 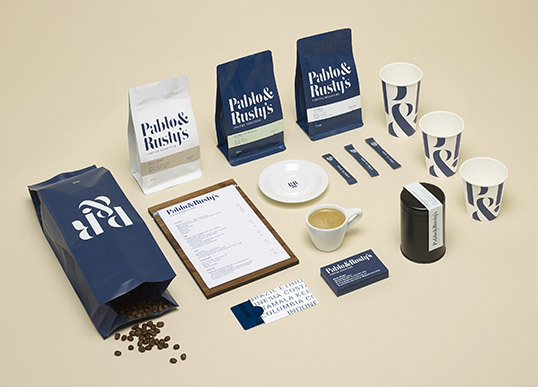 This duality in naming and branding provided the backbone for all print, packaging, and retail design elements.